The Digital Fabrication Program involves both introductory and advanced courses in 3D digital modeling with Rhino, generative and data-driven modeling with Grasshopper, physical computation and interaction, as well as digital fabrication. 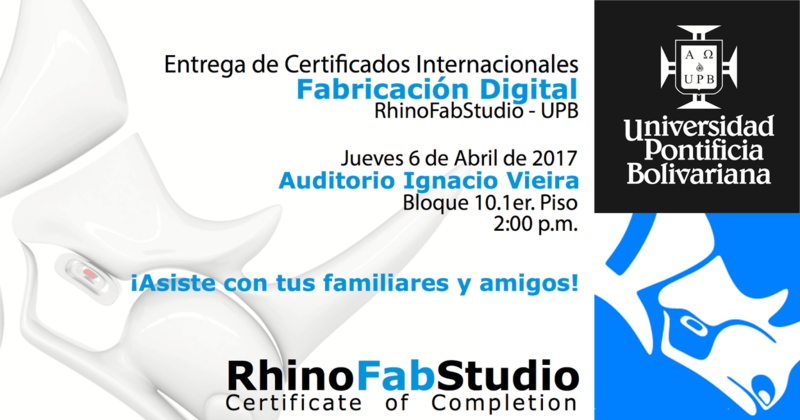 At UPB’s RhinoFabStudio students are able to produce their three-dimensional creations by using the latest inventive technologies such as 3D printing, computer controlled CNC milling and routing, and laser cutting. Join us at the Commencement Ceremony to honor this year's students who have achieved their Digital Fabrication Diplomas. For more information, please contact Andres Franco by email.